Many people may feel that all nebulizers work in the same manner. Unfortunately, this is probably not correct. While all nebulizers turn liquid medicine into a fine mist, many continuous flow small volume nebulizers (SVN) may not be as efficient as breath actuated nebulizers (BAN). 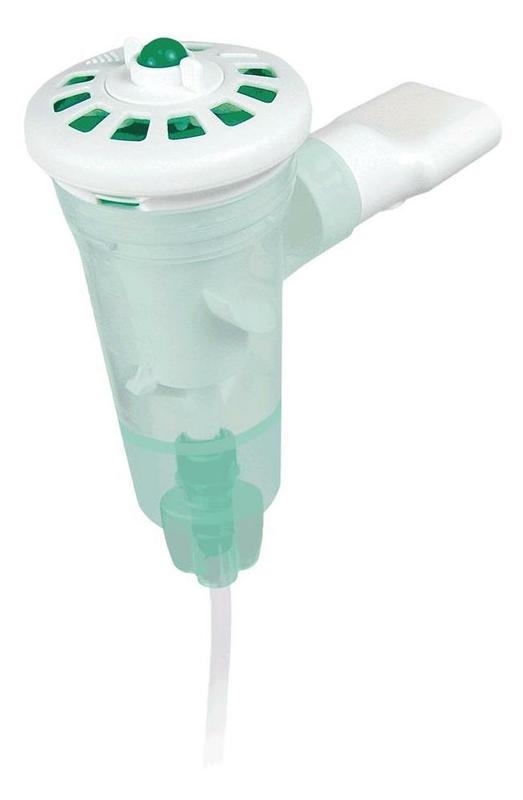 With the standard small volume nebulizer, some of the mist may not be inhaled into the lungs and lost to the environment, whereas (as their name implies) breath actuated nebulizers only dispense medication during the patient’s inspiratory maneuver. This can lead to a much more efficient delivery of a prescribed drug which leads to faster relief of a respiratory malady. In a study of 28 patients that required nebulizer treatment, respiratory therapists concluded that 54% indicated that breath actuated nebulizers performed better. One specific benefit showed 68% indicated that the treatment duration was better with BANs. In this particular study, BANs outperformed standard small volume nebulizers for duration of treatment (4.1 mins. vs. 9.9 mins.). Shorter treatment times and better efficacy can lead to greater satisfaction, not to mention breathing freer faster!! While most nebulizers work with a compressor converting a liquid medicine into a fine mist at a continuous rate, most breath actuated nebulizers allow the distribution of medicine only when the patient inhales. By storing medication in the chamber during exhalation or a pause in treatment, waste is minimized. This allows these types of nebulizers to be extremely efficient. 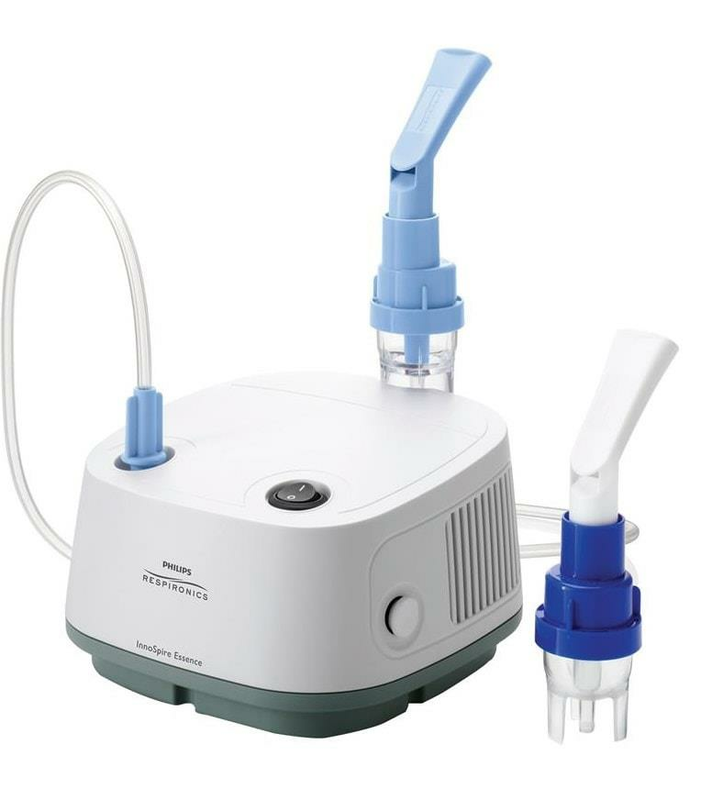 For example, a breath actuated nebulizer may have as little as a 4% waste of medication as opposed to up to 30% in other nebulizers since BANs only dose breathing medication during inspiratory activity. The below chart shows how the BAN creates a more efficient aerosol. During exhalation or any other activity that is not inhalation, these breath actuated nebulizers do not allow release of medication. Many of these nebulizers have a feedback button on top (see below photo) to give visual feedback to the user and can make it easier for the user to take long, slow breaths that make delivery of medicine more effective. This is the simple mechanism that keeps any respiratory medication in the chamber until it is actively inhaled into the lungs. 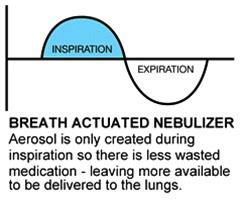 A great way to deliver this aerosolized medication is with the AeroEclipse Reusable Breath Actuated Nebulizer. With minimal effort it can enhance actuation sensitivity to 15 L per minute. It’s clear construction and milliliter markings make it easy to use as well as being able to note proper dosing. The fact that this BAN minimizes environmental loss of medication makes it perfect for pediatric applications. Anyone with a child knows how difficult getting them to sit during anything, let alone respiratory therapy, can be. 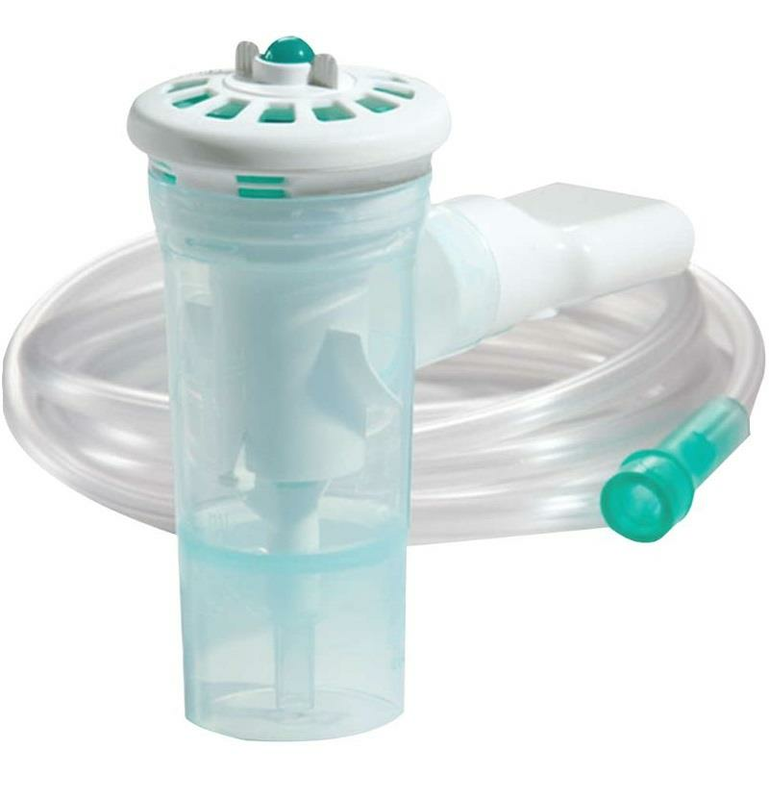 The Monaghan AeroEclipse II Breath Actuated Nebulizer has a mouthpiece that can be removed and replaced with a Disposable AerosolMask to make aerosol delivery that much easier. It can hold between .5 mL and 6 mL of medication for a wide variety of patient needs. Both of these AeroEclipse nebulizers create droplets of medication at approximately the same size. Through faster, more effective therapy we no longer have to suffer through respiratory discomfort. By getting more medication into our lungs we can make our therapy time shorter and minimize loss of medicine to the environment. Relax and breathe comfortably! !